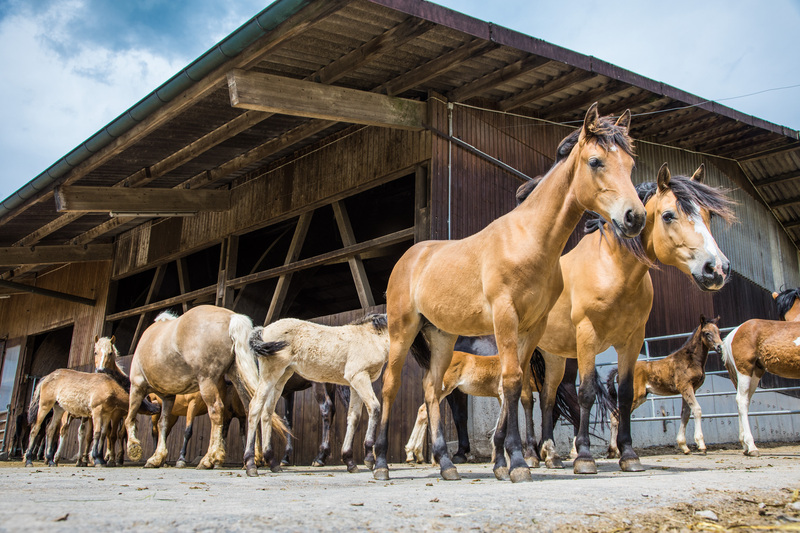 400 horses live on the stud farm “Kurgestüt Hoher Odenwald” in Waldbrunn-Mülben. Here, Jette Zollmann continues in the third generation what her grandfather built. 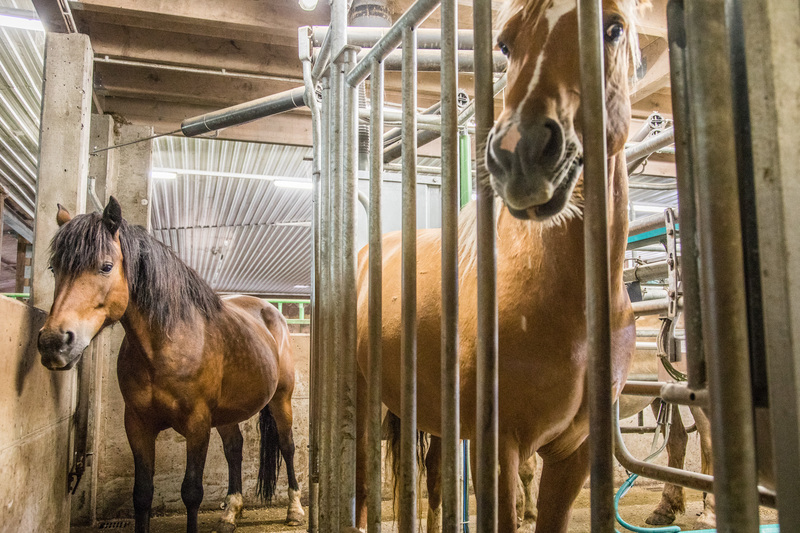 The mares on the stud farm milk well—and live a life without halters or saddles. Jette Zollmann attaches the teat cups to a sturdy medium-brown mare. 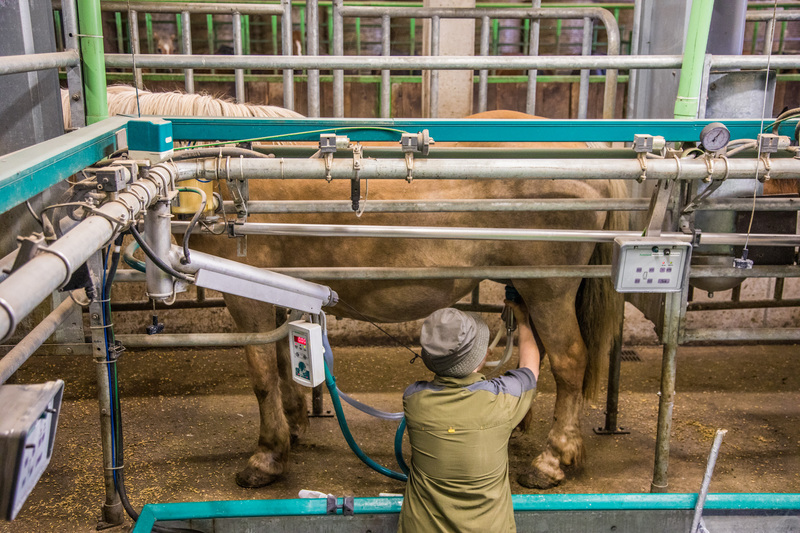 The animal seems unimpressed by the milking equipment and the noises of the children. 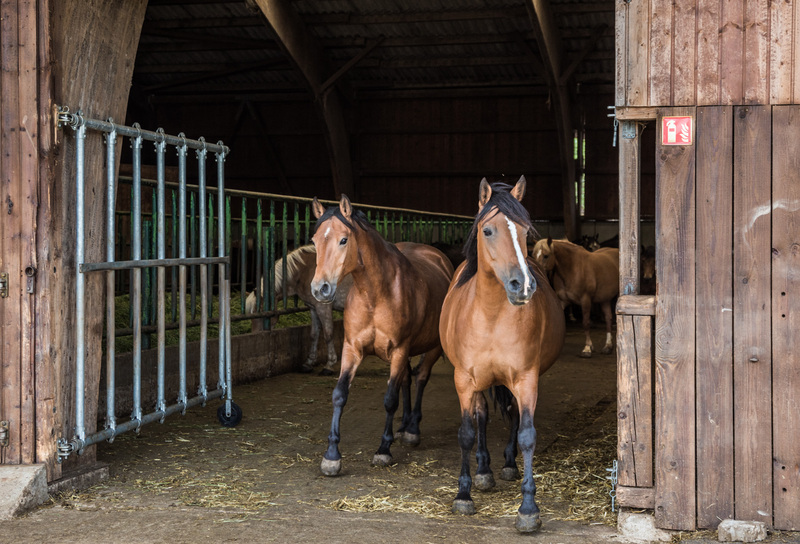 The horses are used to visitors here at the “Kurgestüt Hoher Odenwald” in Waldbrunn-Mülben. 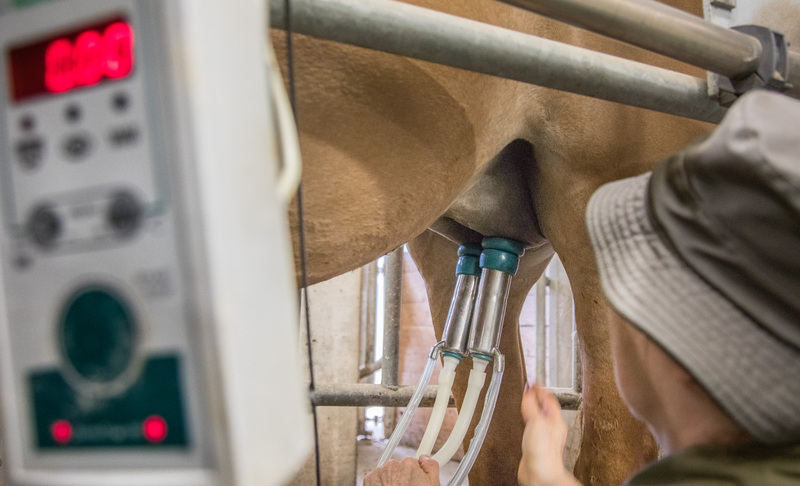 The start button is now pressed and the milk begins coursing through the cooling hose—directly into the dairy next-door, belonging to the stud farm. 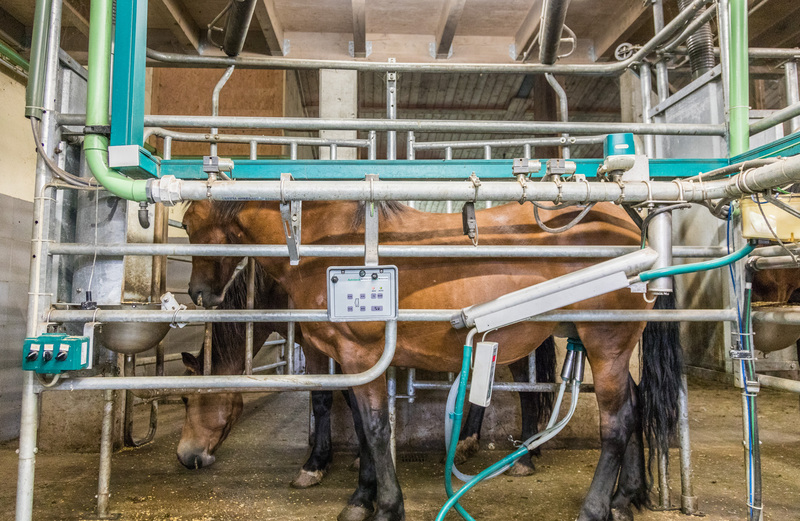 Anywhere from 90 to 200 mares are currently producing milk, each about one litre of milk—three times a day. One of the pupils is very quick in his mental arithmetic: “That is 270 litres.” Answering the question if milking the mares hurts the animals Jette Zollmann gives a clear answer: “They would not stand still if it did.” The young visitors learn that the foals need the milk of the mares for themselves during the first six to eight weeks and that the mares go to the milking parlour only after that time—and after they have fed their young first. Mares and foals are together again in the afternoons. 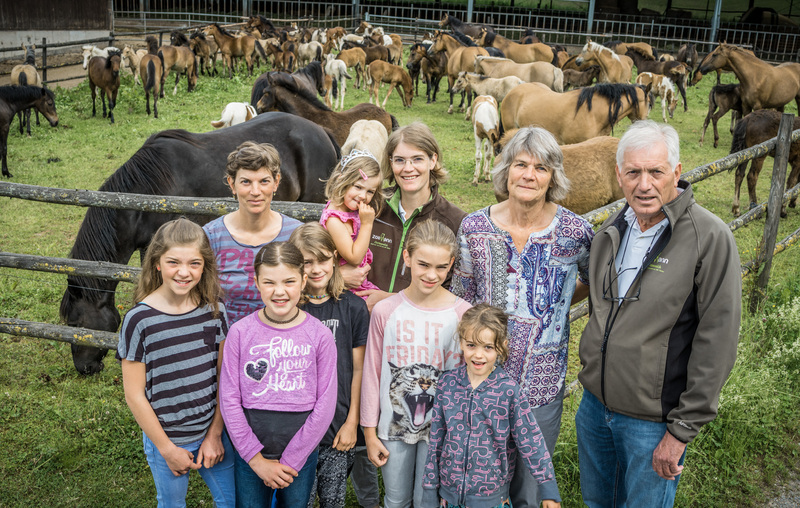 The Zollmann family keeps 400 horses at four farms on a total area of 450 hectares. 50,000 litres of organic mare’s milk are processed per year. All of this work is performed by five family members and ten employees with the help of seasonal workers. There is a very special story behind the devotion with which the family produces this not altogether everyday nourishment: It might have been due to mare’s milk that the life of Rudolf Storch, father of Gudrun Zollmann, was saved in the 1940s. As a Russian prisoner of war the young man fell sick with tuberculosis. The Russians let him go and the people of a nomadic tribe in Kazakhstan took care of the young veterinarian making him drink mare’s milk. Rudolf Storch, convinced of the curative effect this milk had on him, brought the idea back home—and founded a farm to produce mare’s milk in spite of the heavy odds. Gudrun Zollmann remembers quite well how exotic her father’s idea seemed at the time. She knows how much effort it took to process the milk. And how laborious it was to convince others of his products. “He was on the brink of giving up.” Her husband, however, fell in love with the audacious idea of his father-in-law and the couple decided to proceed. Hans Zollmann in the farm shop. 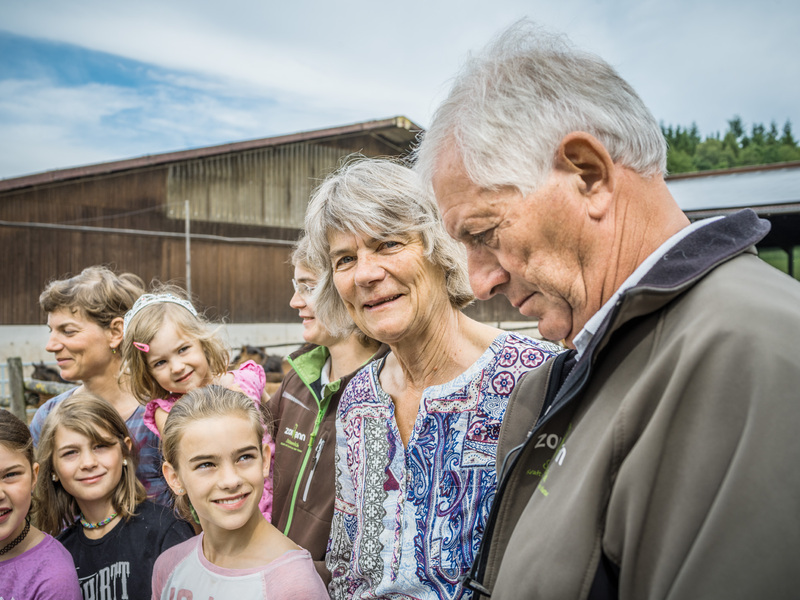 And he did so with success, as today Hans and Gudrun Zollmann’s farm is considered a pioneering business. 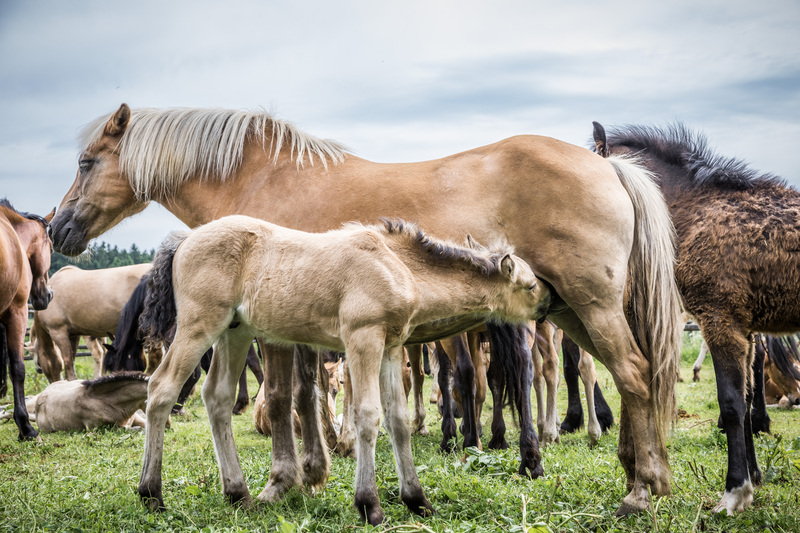 “Mare’s milk is especially easy to digest,” Gudrun Zollmann explains. The family is convinced of its positive effect, on, e.g., people suffering from neurodermatitis or from gastrointestinal illnesses. You can purchase the products from the farm shop where the products are arranged on shelves or order them on the internet. One litre of organic mare’s milk, having a flavour reminiscent of oats, costs ten euros. The food products—some of which are frozen, fermented or come as powders—are made by the family members themselves in their own dairy, the cosmetics are delivered. Jette Zollmann is the youngest of four sisters. The 35-year-old mother of four daughters knew at a very early age that she would run the farm one day. 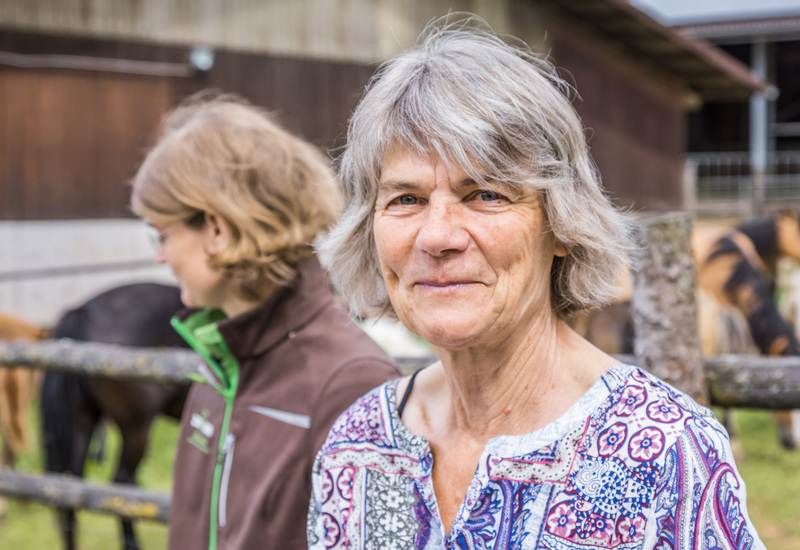 During her agricultural training Jette wanted “to see something different for a change.” So, she milked cows instead of horses and later studied agricultural studies at Hohenheim University. Eight hours inside an office room every single day? “Unimaginable,” she says. 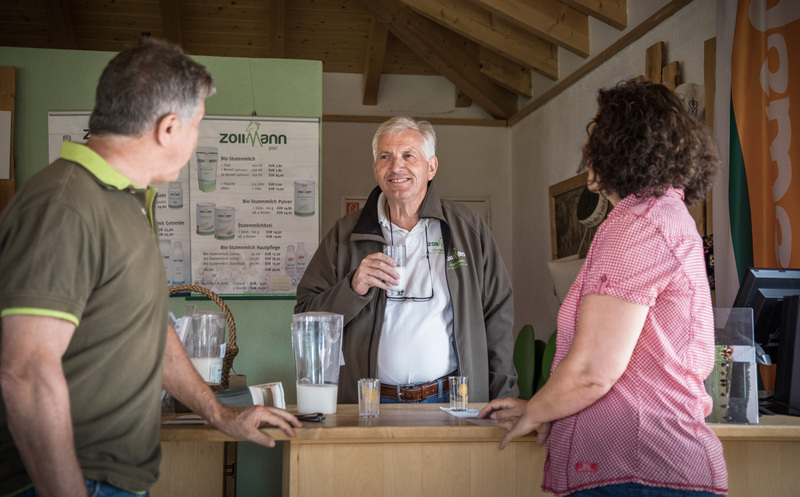 Zollmann appreciates variety: the hours in the stable and in the fields, the work in the dairy, at the desk, with the tractor in the field. “Jette has the complete overview,” her mother says. Her oldest daughter Steffi is a food technologist. She is in charge of the mare’s milk products. 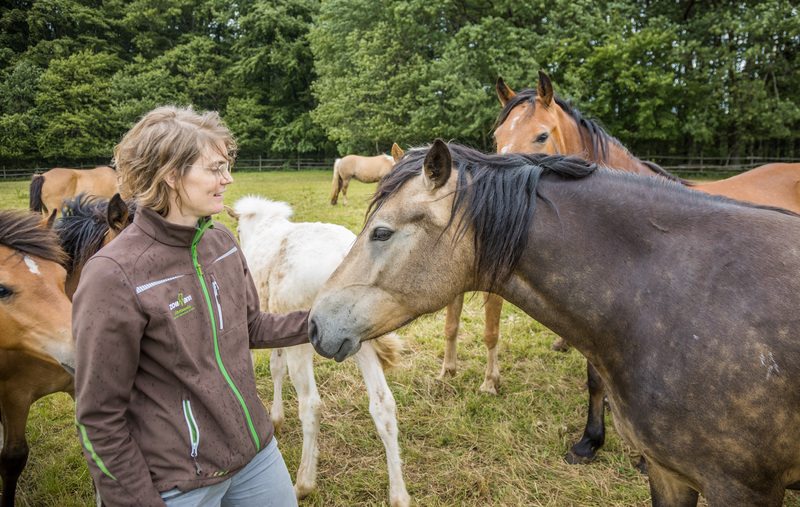 Katrin, the third team member, organises the selling of the breeding animals (on the farms outside the stud farm, you can find horses for sale). And this is also the place where the Zollmann family grows their crops. The centre of the business is the stud farm, though. 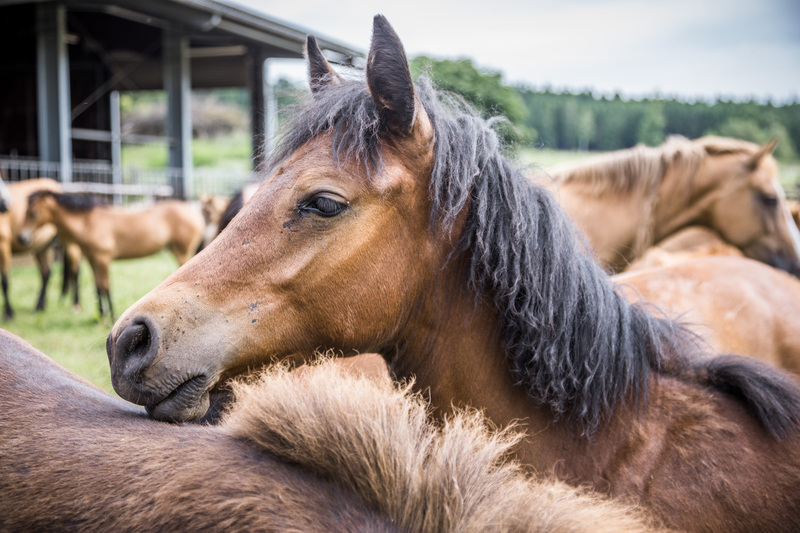 When the first three mares come back to their foals, the young animals frolic about excitedly on their long, spindly legs. Their shiny fur radiates in shades of brown ranging from sandy to almost black. Some are piebald. 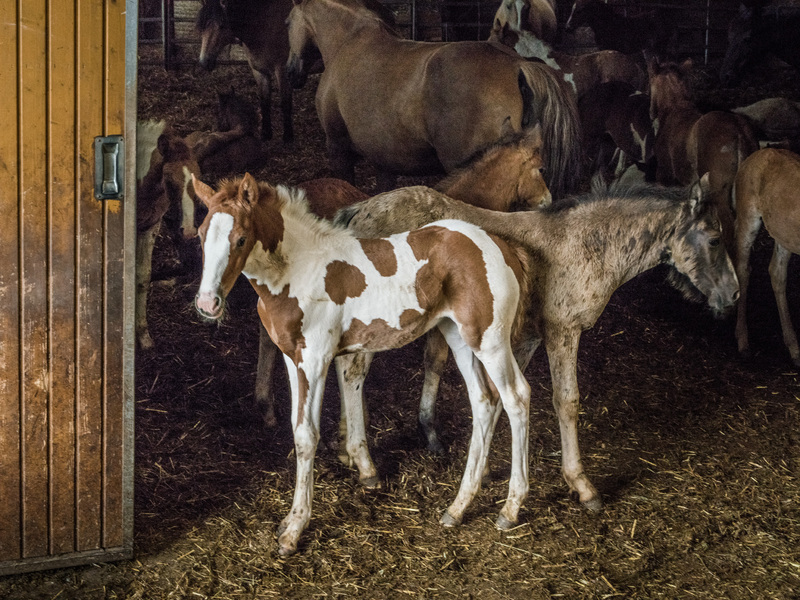 Jette Zollmann knows the names of them all, she even knows which foal belongs to which mare. If some animals look alike, she can even identify them by their udders. 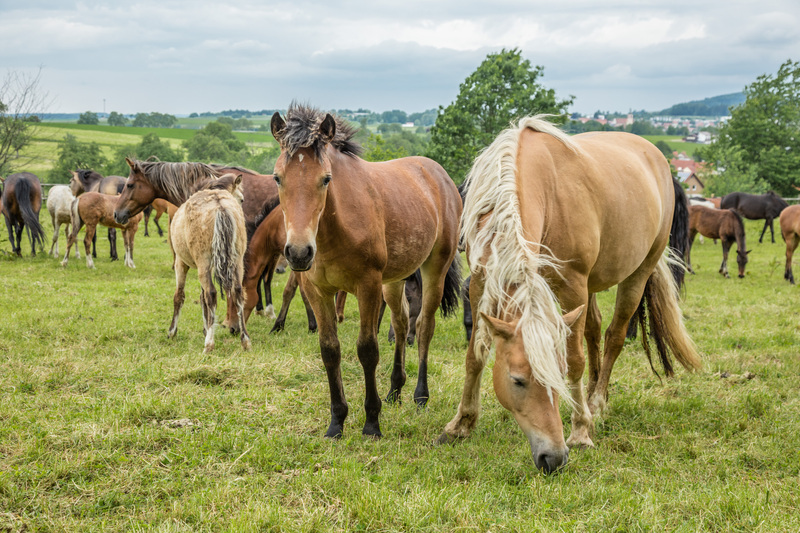 Initially, the family bred Haflinger horses. Since the 1990s, these have been crossbred with British Riding Ponies—this is why they have such beautiful colour combinations. 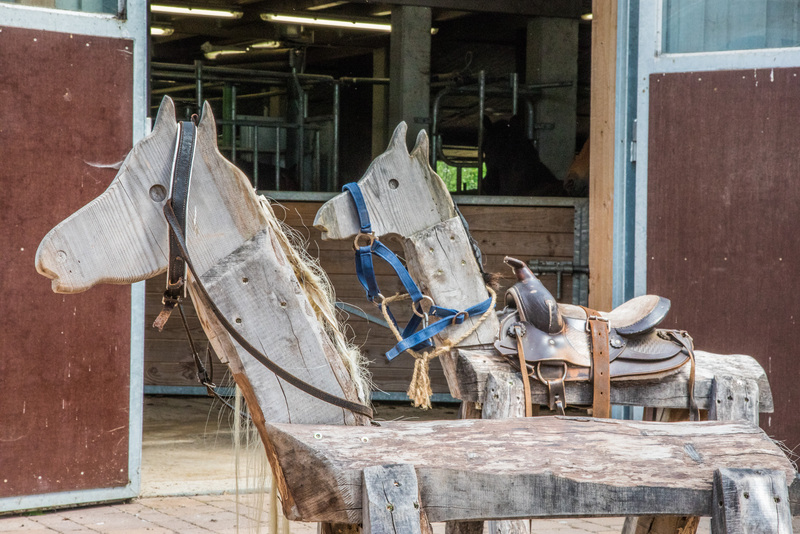 The animals here live their lives without halters, saddles or riders. The young put their heads through the bars in order to reach the hay. Although there is enough space and definitely enough fodder, some squabble, prod and push each other. In the background, two young and wild horses lope through the spacious stable. If they want to, they can go outside and graze in the meadow. 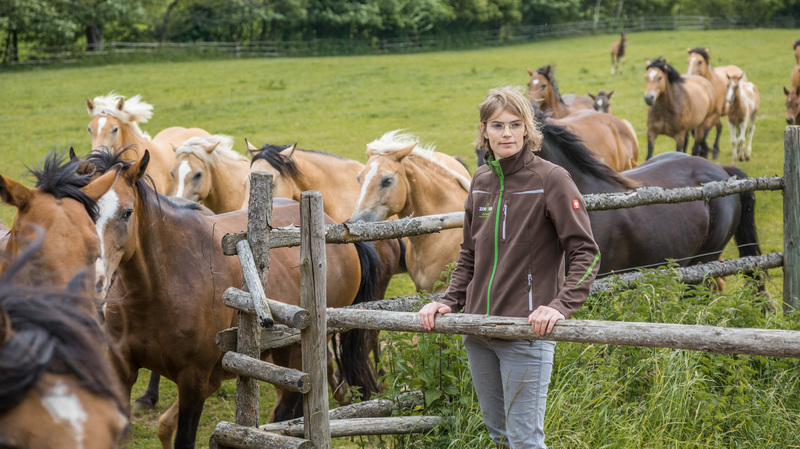 With one glance Jette Zollmann spots the only stallion of the herd. A noble animal, dark brown, almost black grazing on the meadow—totally unimpressed by the hurly-burly of the young animals around him. His life is the stud farm.